A love letter to old Broadway, Bullets is a laugh-a-minute smash, fashioned by consummate theatre professionals into an evening of unabashed theatrical delight. 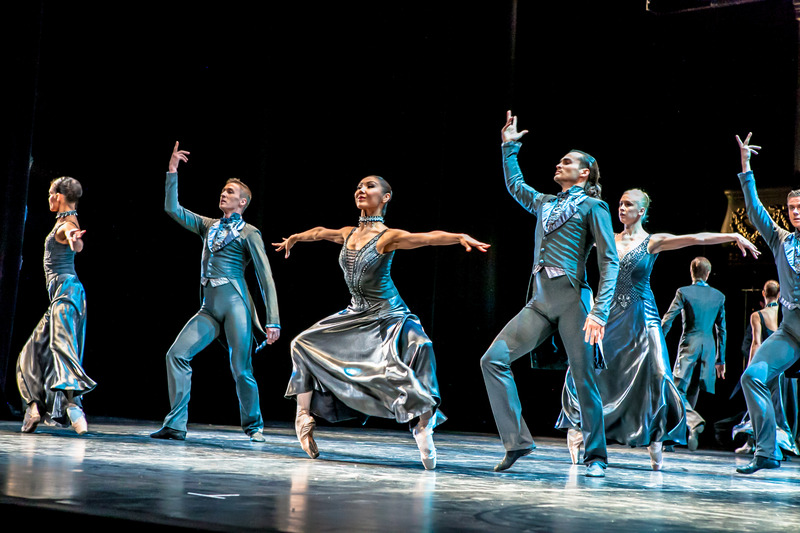 Slickly entertaining though this new musical may be, it cannot, however, be said to break any new ground. The backstage story brings to mind The Producers and the prohibition setting invokes comparisons to 2012’s Nice Work If You Can Get It. Lavish production values and terrific performances abound, but if there is a unique selling point, it is Woody Allen’s truly hilarious script. Based on the 1994 movie screenplay by Woody Allen and Douglas McGrath, the book achieves the comic trifecta of neatly plotted storyline, sharply drawn characters and an endless stream of side-splitting one-liners. 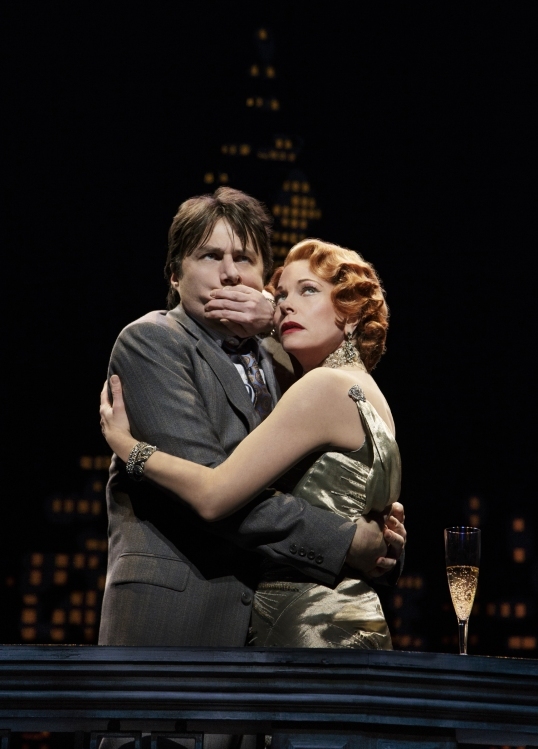 David Shayne, a Woody Allen-type character if ever there was one, is finally set to have his play produced on Broadway so that sole investor Nick Valenti can secure a role for his girlfriend, ditzy chorine Olive Neal. Bodyguard Cheech is sent along to protect Olive but ends up practically re-writing the entire script, to great acclaim. Shayne loves the success but soon finds out he is playing with fire when the bullets start flying over Broadway. 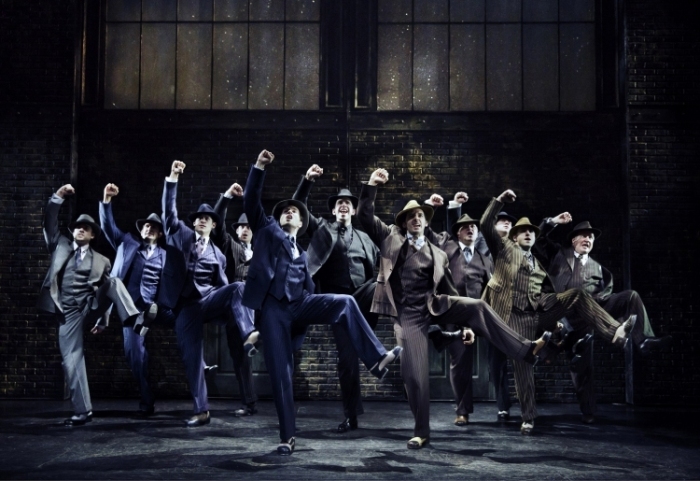 The menagerie of gangsters and theatrical types are a hoot in their own right but the show really takes flight when the cast comes together to start rehearsing the play. Grand dame Helen Sinclair drinks in the ghosts and glories of the theatre, while also drinking lighter fluid from her hip flask. Compulsive eater Warner Purcell finds his newly trim physique rapidly expanding. Motherly Eden Brent clucks over everyone, most especially her dear little pooch Mr Woofles. 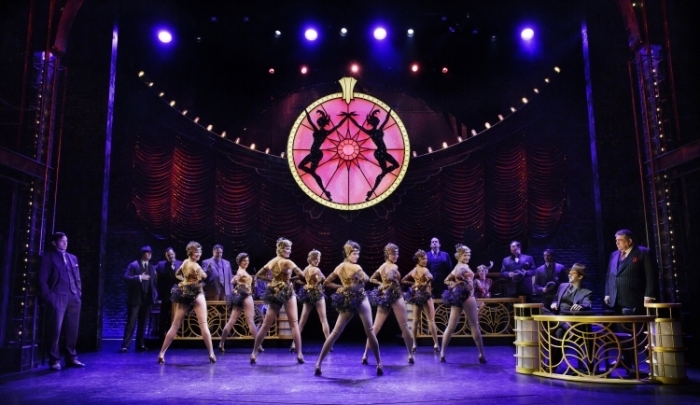 Essentially a jukebox musical from the pre-jukebox era, Allen has exhaustively selected songs from the 1920s to complement the pre-existing story. 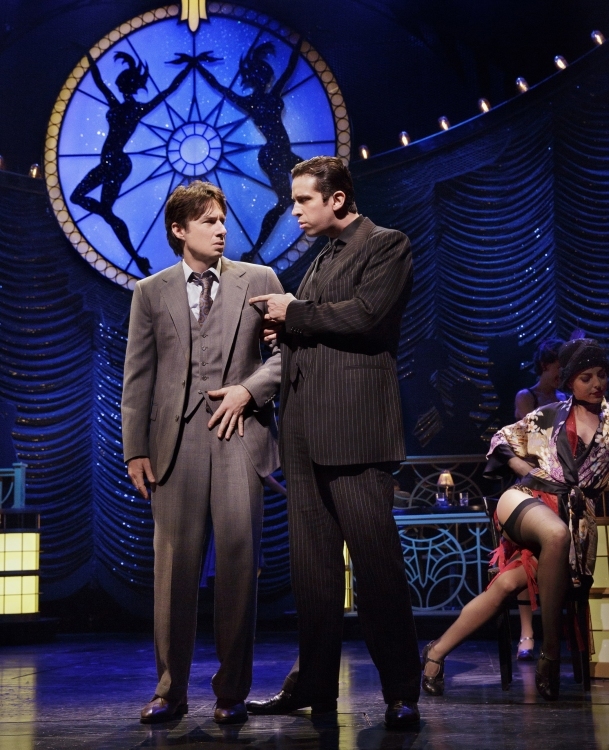 Whether this hurts the show’s chance of winning the Tony for Best Musical remains to be seen. Much as a brand new score would have allowed for the modern trend of rapid storytelling through songs, the score is nonetheless an infectious, toe-tapping collection of snazzy tunes, cohesively arranged and slightly re-written by master musical arranger Glen Kelly. 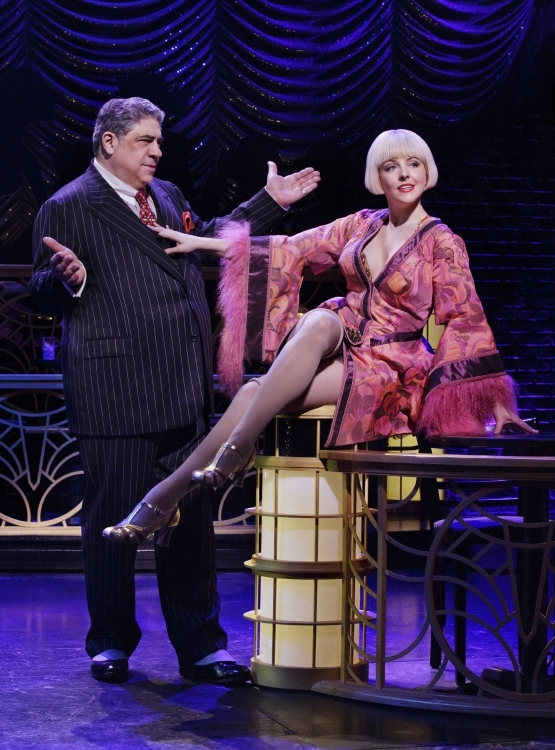 Legendary Broadway costume designer William Ivey Long has a ball with his loving pastiche of flapper hemlines and gangster pinstripes. 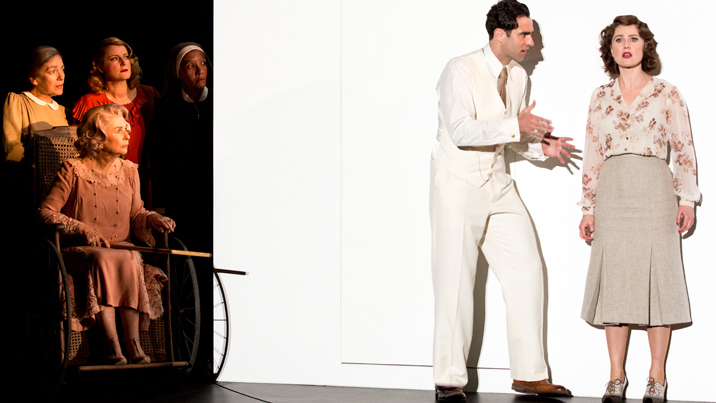 Costumes are complemented by Paul Huntley’s hair and wig design, a favourite being Helen’s strawberry blonde marcel wave. Longtime Allen collaborator Santo Loquasto provides a seemingly endless array of impressive scenic elements. Zach Braff is adorkable as troubled writer David Shayne, and has no trouble at all with the singing and dancing. 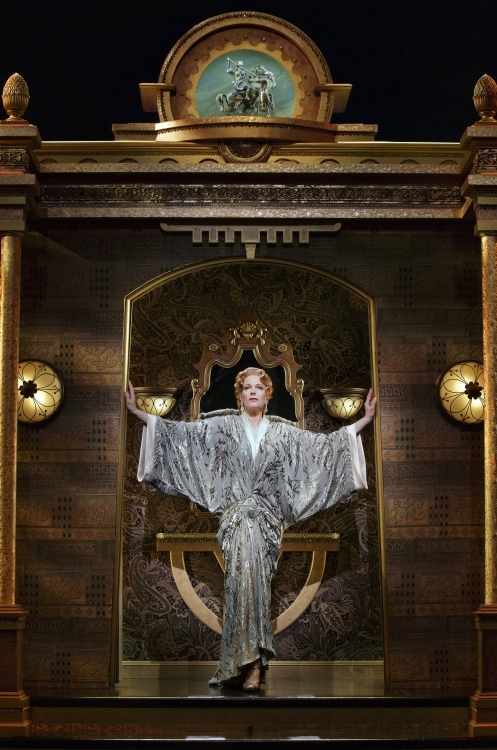 Marin Mazzie is divine as neurotic diva Helen Sinclair. Beloved Broadway trouper Karen Ziemba makes the most of featured role fussy Eden Brent. Heléne Yorke bruises eardrums as screechy nincompoop Olive Neal. Vincent Pastore, as love-struck gangster Nick Valenti, proves himself a legitimate stage talent, eschewing any questions of stunt casting based on his Sopranos fame. Relative newcomer Nick Cordero is a real find as gangster-with-intellect Cheech. Brooks Ashmanskas maintains an endearing twinkle as chubby womaniser Warner Purcell. 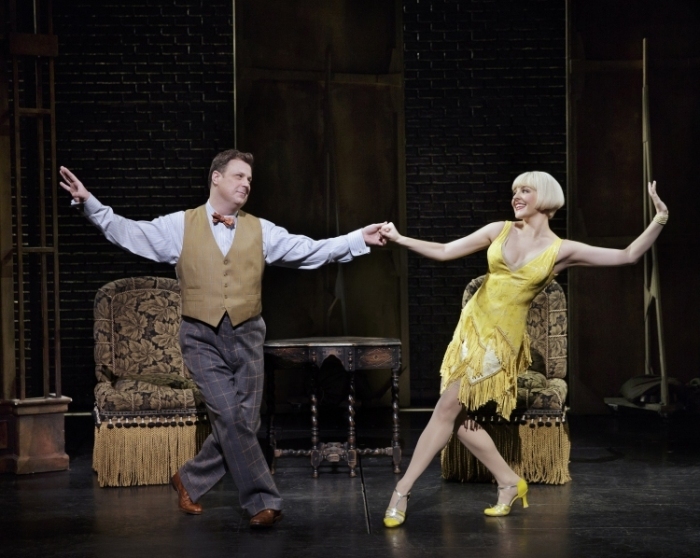 Bullets over Broadway will thrill lovers of good old-fashioned musical comedy; if it ain’t broke don’t fix it. 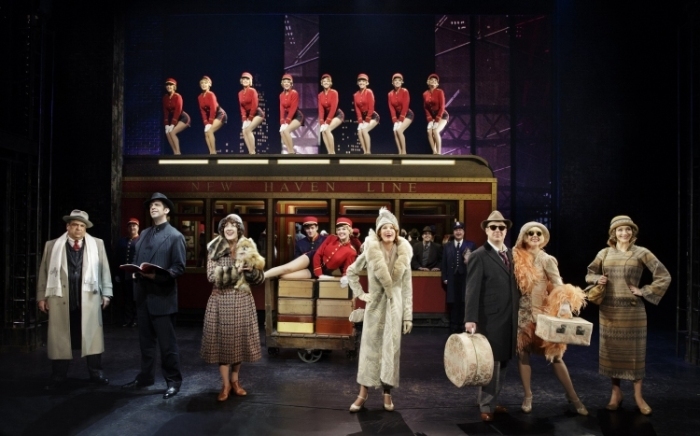 Bullets over Broadway was reviewed 8pm 7 April 2014 at St James Theatre, New York, where it officially opens 10 April 2014. I loved the movie and was intrigued to see how it would transfer to the Great White Way. Sounds like it was a hoot and in for a long run. I’ll start saving my pennies. Thanks so much for this feedback. Have another look at this review now that it has photos – you’ll see that it is worth every penny! I am still laughing about it all days afterward. Wish I could fit it in again. Hopefully it will be enough of a hit that it will come to Australia. 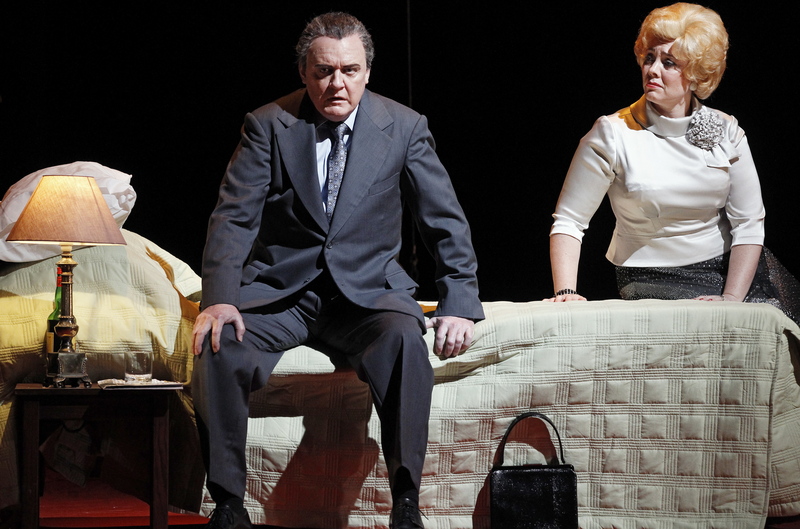 Lots more Broadway reviews to come so keep an eye out.